In 1913, President Edward Kidder Graham appointed a faculty committee chaired by botany professor William C. Coker to plan campus expansion. When enrollment doubled in the 1920s, President Harry W. Chase secured five million dollars in state money for new construction. 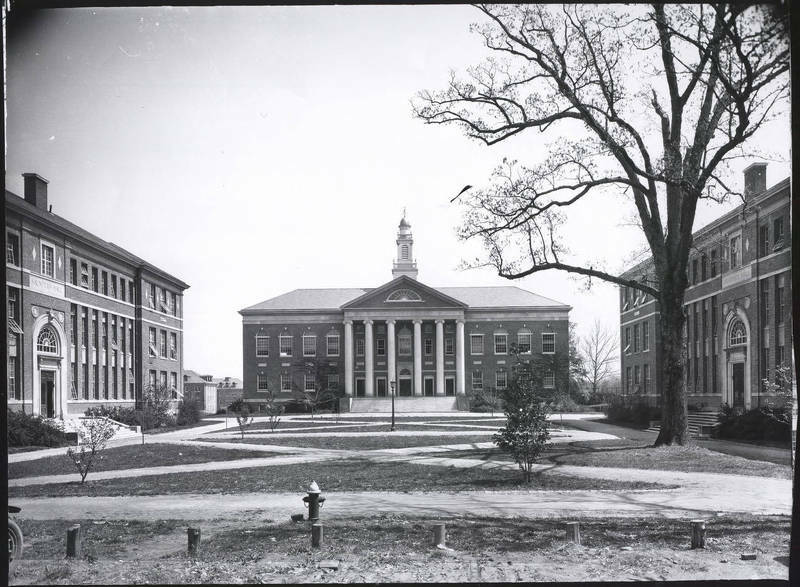 Coker's committee decided that these buildings would frame a new quadrangle south of the earlier campus. The university named this space Polk Place, in honor of President James K. Polk, class of 1818. Saunders Hall (now Carolina Hall), built in 1922, Manning Hall, built in 1923, and Murphey Hall, built in 1924, are just several of the buildings on Polk Place, which is anchored on the south by Wilson Library, built in 1929.